One dark March evening Vera Howarth vanishes from her village. Despite search teams, TV appeals and a police investigation, she is never found, and her disappearance transmutes into a local ghost story. That was 23 years ago. Now Reed Fitzgerald, the organizer of the village well dressing custom, goes missing, and the incident is linked by speculation and fear to Vera’s. Detective-Sergeant Brenna Taylor, her boss, Detective-Chief Inspector Geoffrey Graham, and other members of their Murder Team from the Derbyshire Constabulary are called in to investigate when a handful of bones is discovered in the forest that hugs the village. Vera's remains, or someone else's? As the police team investigates they discover a tangle of jealousy, betrayal and lies, all involving Reed and Vera. And harking back to the ghost stories of the region. 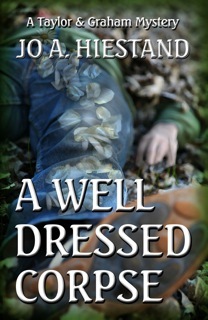 A WELL DRESSED CORPSE is a Taylor and Graham mystery. The town is getting ready for their annual Well Dressed festival when old bones are found. Could they be that of a young lady who went missing 23 years earlier? Vera Howarth just disappeared into thin air. Now there was a good chance the bones are Vera. What does it mean? How did Vera die and wind up in that field? In the meantime, Reed FItzgerald, the festival organizer is found dead. He has been murdered following a meeting of the festival committee. Who wanted Reed dead? Stuffed in the Reed's mouth are pieces of daisies. What could it mean? Brenna is convinced it is specific to the killer when Mark isn't so sure. Are the two murders 23 years apart connected? As Brenna and Mark seek answers they find more questions. They find lies, deceit, betrayal. Some of the town folk are not at all what they seemed. Jo A. Hiestand takes us on a picturesque journey through the English countryside. She writes in such a way that she can smell the countryside, feel the night air,you are in the Pub with them. Jo paints a beautiful picture with her words. There is a new television series on AMC right now called the KILLING. I really like it, and while I was reading A WELL DRESSED CORPSE, I could see it play out in a KILLING manner. Excellent! I read visually. And when an author makes me feel like I am along for the walk, I am thrilled. A WELL DRESSED CORPSE would make a charming movie like AMC's the KILLING. 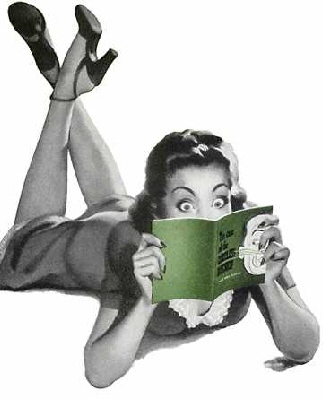 A WELL DRESSED CORPSE was not only fun to read but informative - I learned many new things in the "English" arena. Just charming. I was so engrossed in the story and sub stories that I was sad to see it come to an end, But be that, it was a wonderful read. On a scale of 1 to 5, I give it a 4.9. Cynthia Lea Clark, Psy.D., Ph.D., MHt.